REVOLUTIONARY congratulations to the West Bengal state committee of the CPI(M) for successfully completing fifty years of publication of the Party weekly Deshhitaishee. This golden jubilee has come facing many trials and tribulations imposed by evolving contemporary political developments that had demanded many a sacrifice of life and limb of thousands of our comrades. Revolutionary red salute to our martyrs. It is, indeed, a matter of immense satisfaction that we are today commemorating this golden jubilee. Many, however, say that the civilisational advances of the 20th century, particularly the scientific and technological advances, have so completely transformed the situation that instantaneous communication is today possible in a manner that would be incomprehensible at the beginning of the 20th century. The emergence of radio and television with the latest invasion of cyberspace and cell phones, some argue, has rendered the newspaper as an obsolete means of communication. Therefore, they would ask if there is any point in recollecting Lenin’s views on the Party newspaper. Under capitalism, while culture as an ideological formation bolsters the rule of capital, the forms of culture go through a process of commodification, as everything else in society. Much has been written about this process and needs no repetition. The cultural products of capitalism are aimed at achieving social control rather than expressions of social creativity. The exchange value of these products always supersede their use value. This, of course, does not hold for those cultural products that emerge from dissent and opposition to capitalism...The cultural hegemony that such a globalisation process seeks is expressed in the need to create a homogenisation of public taste. The more homogenous the taste the easier it is to develop technologies for the mechanical reproduction of `cultural products' for large masses. Commercialisation of culture is a natural corollary of such globalisation. Viewed in terms of class hegemony, the culture of globalisation seeks to divorce people from their actual realities of day to day life. Culture here acts not as an appeal to the aesthetic, but as a distraction, diversion from pressing problems of poverty and misery. Consequently, it seeks to disrupt the energy of the people and their struggle to change and improve their miserable existence. As Michael Parenti says, "A far greater part of our culture is now aptly designated as "mass culture", "popular culture", and even "media culture", owned and operated mostly by giant corporations whose major concur is to accumulate wealth and make the world safe for their owners, the goal being exchange value rather than use value, social control rather than social creativity. Much of mass culture is organised to distract us from thinking too much about larger realities. The fluff and puffery of entertainment culture crowds out more urgent and nourishing things. By constantly appealing to the lowest common denominator, a sensationalist popular culture lowers the common denominator still further (media page 3 culture). Public tastes become still more attuned to cultural junk food, the big hype, the trashy, flashy, wildly violent, instantly stimulating, and desperately superficial offerings. Media culture that globalisation promotes is starkly exposed by the manner in which it underrates or outrightly ignores people’s protests and their conditions of miserable existence. For instance, the very day when team Anna was holding their hunger strike on issue of corruption, over two lakhs of workers at the call of the All India Trade Unions had marched to the parliament in Delhi protesting against price rise and corruption. While the former hogged the headlines and dominated the electronic media, the action of the working class was largely ignored. Adding insult to injury, the Times of India, in an obscure page carried a small news item bemoaning the traffic disruption caused by the worker’s rally in the country’s capital! 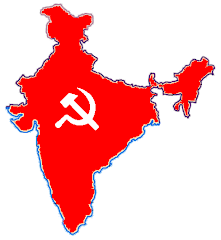 Yet again, in July this year, the five-day dharna by the Left parties demanding food security for our people was again largely ignored while team Anna’s movement that finally fizzled out taking place next to the Left parties dharna, once again hogged the headlines and the electronic media attention. The billions of dollars spent annually on advertising are creating the `subjects' for the `objects' that the system churns out. Likewise in culture. The audience is first created to receive a product of mass consumption. The homogenisation of public tastes is thus created through an advertisement blitz that dullens if not erases critical faculties. It is not therefore, as though, this `culture' is catering to people's taste. Tastes and ideas are being created to accept uncritically the `culture' that is being churned out. For instance, the mega corporation Time had earlier merged with the entertainment giant Warner Bros. The information giant American Online Ltd (AOL) has now acquired Time-Warner at a cost of $ 164 million to become the largest ICE conglomerate in the world. Rupert Murdoch now commands a combined news, entertainment and internet enterprise which is valued at $ 68 billion. Likewise, Walt Disney has now acquired Marvel (of Spiderman fame). The cultural products that are universally created are bombarded across the world garnering phenomenal profits. As recently as in January 2011, Comcast Corp has completed its takeover of NBC Universal, creating a $ 30 billion media behemoth that controls not just how television shows and movies are made, but how they are delivered to people’s homes. Comcast, the No. 1 provider of video and residential internet service in the United States (with over 23 million video subscribers and nearly 17 million internet subscribers), acquired a 51 per cent stake in NBC Universal from General Electric Co. The newly created joint venture is called NBC Universal LLC and its assets include NBC broadcast stations, cable channels like Bravo, USA and E!, the Universal movie studio as well as theme parks among other assets. Some instances in the Indian context: Reliance Entertainment (formerly known as Reliance BIG Entertainment) is a wholly owned subsidiary of the Reliance Anil Dhirubhai Ambani Group, its media and entertainment business, across content and distribution platforms. The key content initiatives are across movies, music, sports, gaming, internet and mobile portals, leading to direct opportunities in delivery across the emerging digital distribution platforms: digital cinema, IPTV, DTH and Mobile TV. Reliance ADA Group acquired Adlabs Films Limited in 2005, one of the largest entertainment companies in India, which has interests in film processing, production, exhibition and digital cinema. Having won 45 stations in the bidding, BIG 92.7 FM was India’s largest private FM radio network. Big Cinemas is India’s largest cinema chain with over 516 screens spread across India, US, Malaysia and Netherlands. The chain caters to over 35 million consumers. BIG Cinemas has established leadership in film exhibition in India with 253 screens and accounts for 10 to 15 per cent of box office contributions of large movies. The company forayed into the largely untapped video rental market in India by acquiring Big Flix and started further expansion. In April 2008, Reliance Big Entertainment acquired DTS Digital Images, a digital film restoration company based in Burbank, California. On 15 July 2009, Reliance Big Entertainment and Steven Spielberg announced a joint venture with a funding of $ 825 million. Recently, Big 92.7 FM launched a radio station in Singapore considering 8 per cent of the population residing there is Indian. On January 15, 2010, Reliance reportedly joined the bidding for MGM. On April 5, 2010, they acquired a 50 per cent stake in Codemasters. Reliance had invested about 26 billion rupees in Eenadu Group's regional TV channels when it announced the deal with the TV18 group's Network18 on January 3, 2012. Reliance holds a 100 per cent economic interest in five ETV regional news channels and five ETV general entertainment channels. It also owns a 49 per cent economic interest in ETV Telugu and ETV Telugu News. Such mega corporatisation of media is playing havoc with distorted dissemination of information and deliberate campaigns of disinformation. The rise of the phenomena of `paid news’ shows the extent of commercialisation of media. Truth and objectivity are the casualties that buttress the hegemony of the ruling classes. This monopolisation of media as a weapon of ideological hegemony that the ruling classes unleash needs to be combated much more aggressively. New ideological postulates like post-modernism are aggressively propagated. Its main thrust, as with all other anti-Communist ideological expressions of the past, is the negation of classes and, hence, of class struggle. It seeks to compartmentalise society in terms of ethnic, regional and other micro identities and, thus, disrupt the unity of the exploited classes. Such theories, therefore, weaken the class unity of the exploited people and, thus, buttress the class rule of the exploiters. The Party newspaper, along with other forms of media, today has to rise to meet such challenges and, therefore, act as a powerful weapon in the hands of the revolutionary forces to propagate their ideas, to organise the exploited classes and, thus, to strengthen the struggle for creating a society free from all forms of exploitation – socialism. I am confident that Deshhitaishee will continue to play its role and will rise to effectively meet and combat the current challenges.